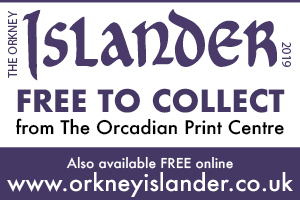 There’s plenty to see and do in Orkney this weekend. Check out just what’s in store! 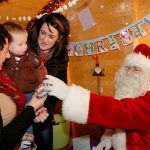 Santa will be visiting several shops to entertain the kids this weekend including Wellpark Garden Centre and William Shearer. Santa will be at the Wellpark Garden Centre on Saturday and Sunday from 11am to 4pm. He’ll also be in William Shearer on Saturday and Sunday from 2pm to 4.30pm. Where you’ll also find plenty of Cool Creatures! 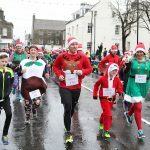 A Santa Fun Run and walk will be held this Sunday in aid of Orkney Deaf Children’s Society. The event will see folk take to the streets for two laps of the town centre. It will get under way at 10.45am with a special Christmas warm up by Katie Rafferty and Barney the Bear, before the run begins at 11am. 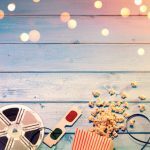 A young girl is transported into a magical world of gingerbread soldiers and an army of mice during a film for all the family —The Nutcracker and the Four Realms (PG) — which is screening all weekend. Widows (15) will keep an older audience entertained and is also screening Saturday and Sunday evening at 6pm both days.